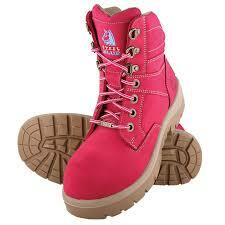 A popular choice for Mining, Construction, Road Workers or anyone wanting a colourful pair of boots! 150mm lace-up Ladies ankle boot with padded collar and tongue. Technology that is in this boot. Our boots with Anti-static properties offer a level of protection against ignition hazards. Our water resistant boots are very resilient when exposed to water increasing longevity of wear. Steel Toe Caps are often mandatory on many worksites, so they’re our most popular choice. Our nitrile outsole withstands extremely high temperatures - up to 300°C. Cowhide water-resistant Nubuck leather and stitched in Nylon thread. Non-Corrosive Lacing. This boot is lined with Baltico®, which is a soft, non-abrasive, hydrophobic material that wicks perspiration away from the foot, enabling the skin to remain cool and dry. 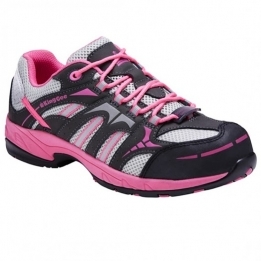 A full length footbed that is inserted into the footwear to offer additional support and comfort. This footbed is made from soft polyurethane that will retain its shape and thickness throughout the life of the boot. 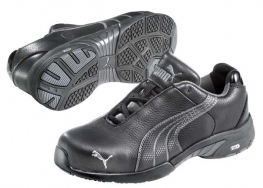 Oil and acid resistant nitrile rubber outsole, which is heat resistant to 300ºC (572ºF). Heavy-duty, flexible anti-bacterial full length PORON® /non-woven insole.